If you’ve been searching for a true sports car that also offers interior luxury and innovations, the new Jaguar F-TYPE fits the bill. This model combines the convenience of a daily driver with the excitement of a performance vehicle, and offers the likes of a 269-hp turbocharged 2.0-Liter 4-cylinder Ingenium engine that’s incredibly efficient. 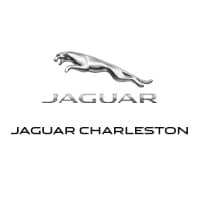 Visit Jaguar Charleston to take a closer look at this vehicle, and contact us with any questions. After you choose whether the F-TYPE Coupe or Convertible is right for you, you can explore our F-TYPE lease offers, or apply for financing in advance to streamline the process. Visit us in Charleston, WV when you’re ready for a test drive; we’re just a short drive from Huntington and Beckley.